It seems like just yesterday we were releasing our autumn playlist, and here we are in early December, launching our winter playlist as we head into the coldest, shortest, and darkest days of the year. For many people, winter is a time of year to snuggle under the covers and hibernate, but not you instructors or your students! While the cold isn’t something I’d normally celebrate, we’ve got a slew of songs ready to help ease the pain. Hopefully they’ll get you through those sub-zero temperatures that’ll be here before you know it! Winter—This one’s a no-brainer! A few of our favorites on this topic are Tiesto’s Deep House Remix of “Winterbreak” by MUNA, which is great for surges; the Bangles’ “Hazy Shade of Winter” (an all-time favorite of mine that is great for some high-intensity intervals); and “White Winter Hymnal” by Fleet Foxes, which works for a warm-up. Cold/Freezing—There are a ton of options for this theme. “Cold Water” by Major Lazer, MØ, and Justin Bieber is a recent pop favorite, and we’ve included a few different remixes of it for you. Check out the Don Omar version, which will bring some Latin heat to your cycle room on a cold day. For you classic rock fans, we included Tom Petty and the Heartbreakers’ “Out in the Cold,” “Cold As Ice” by Foreigner, “Tenth Avenue Freeze Out” by the Boss, and “She’s So Cold” by The Rolling Stones. Snow—The options are endless here. If you’re a fan of “Prayer in C” then you need to check it out “Snowflakes – Radio Edit” by PingPong and Robin Schulz, which was a new find for me this year. It starts off mellow and picks up at the 2-minute mark. If you’re an indie fan then check out “Snowflake” by Islands. For you pop-rockers we included “Snow (Hey Oh)” by RHCP. And in case you’re wondering, yes, we included “Do You Want to Build a Snowman?” by Kristen Bell. Ice—No winter playlist is complete without paying homage to Vanilla Ice. Too cold, too cold. You’ll also notice that there are a handful of mellower tunes in this list, which is expected since the theme is winter and it’s a time when things tend to slow down a bit. We included these so you can use them in your stretching and cool-down sections. Let us know what favorites of yours we missed in the comments below! 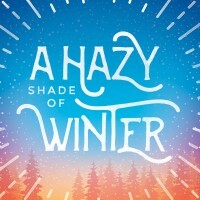 For “A Hazy Shade of Winter”, the original my Simon and Garfunkel is just so much better than the Bangles cover! George Winston’s December is a great one to cool down and stretch.